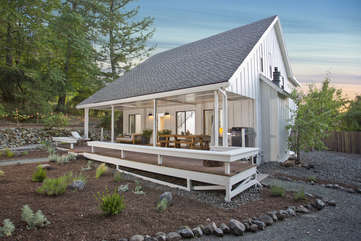 Fire up the grill, kick back, and enjoy a casual dinner on your front porch. 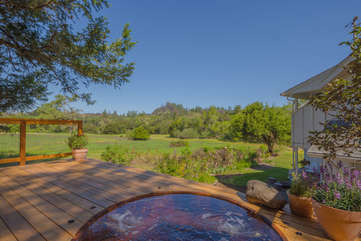 Wine Country bliss awaits — your private hot tub in paradise. 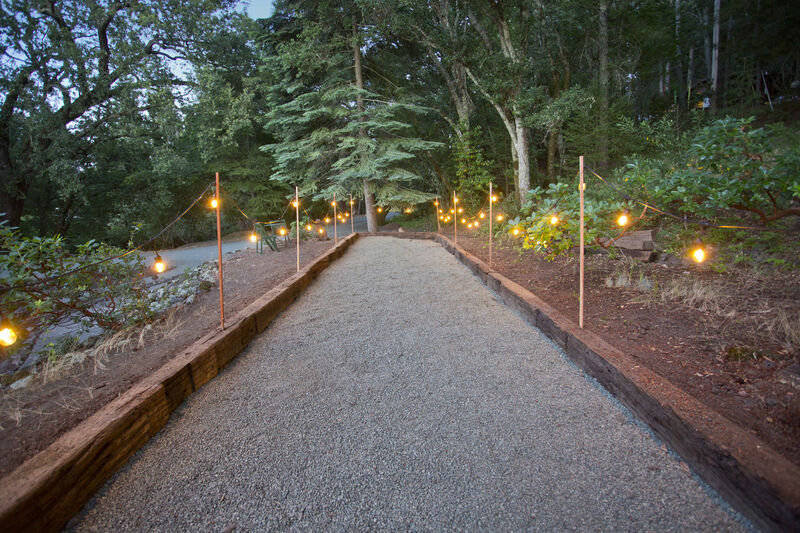 Challenge your friends to bocce ball. It's about playing, not winning! Listen to the stream, let your thoughts go, and meditate on the moment. 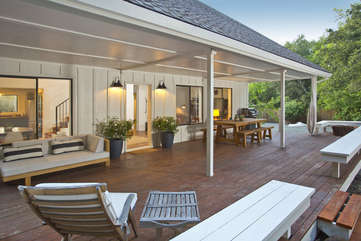 An exterior balcony connects the upstairs bedrooms and the beauty outdoors. 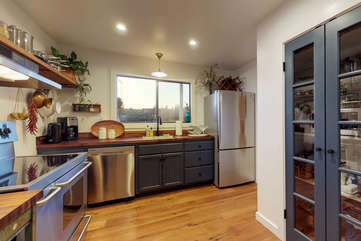 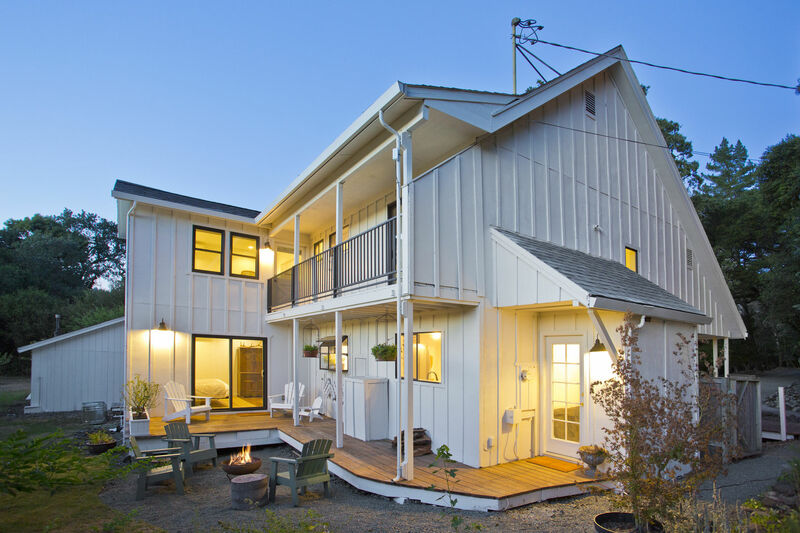 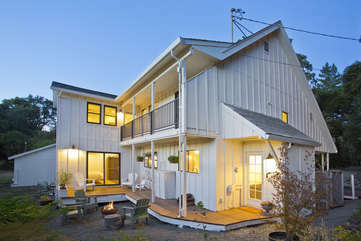 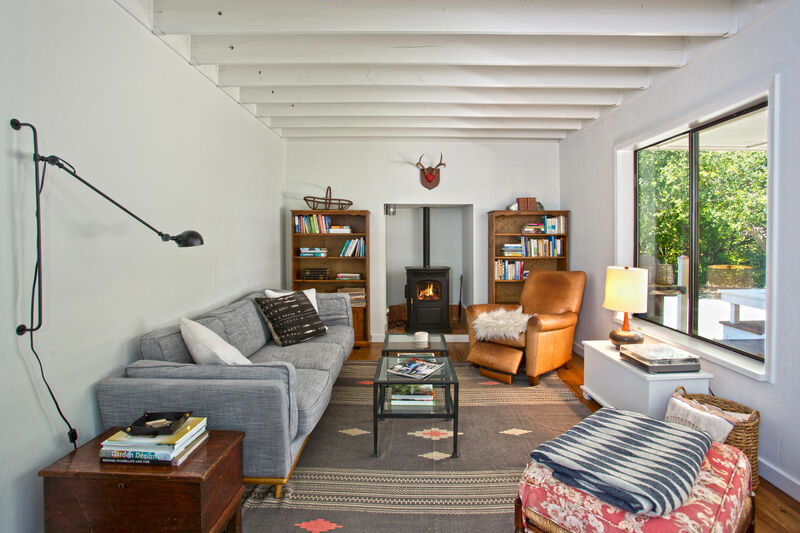 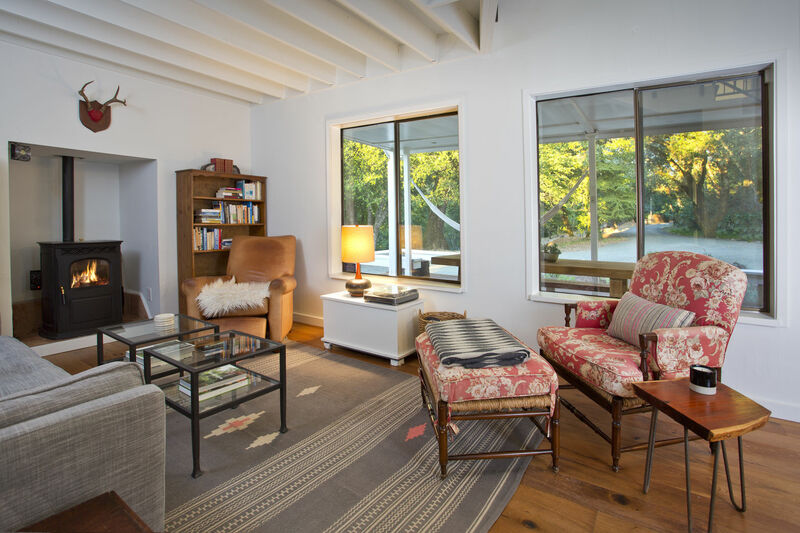 Relaxed farmhouse living Wine Country style — cozy pellet stove, hardwood floors, plenty of natural light. 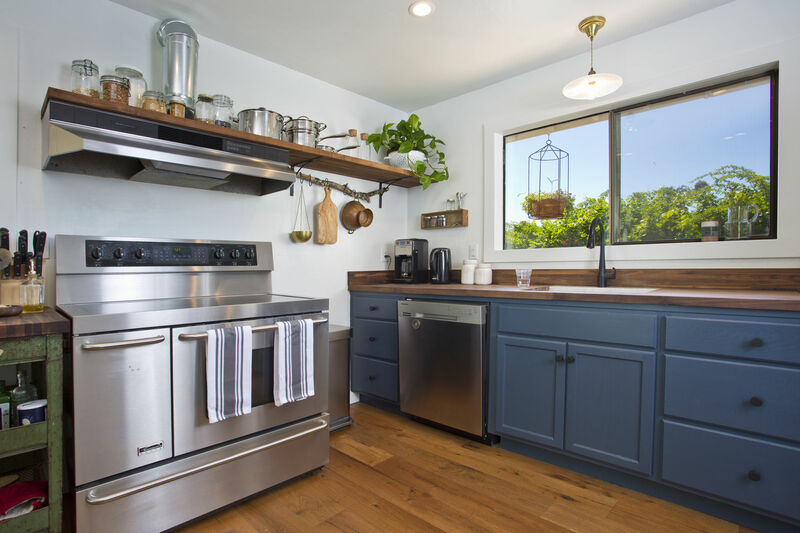 Cute farmhouse kitchen has everything you need to cook up a great meal. 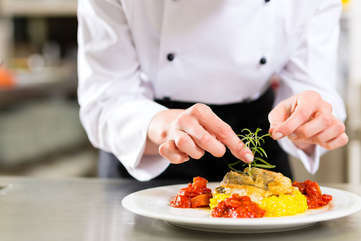 Cooking is always fun when you're on vacation! 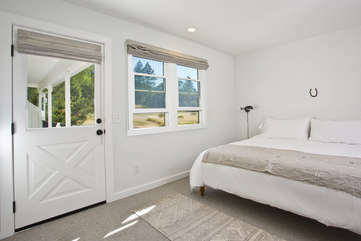 Bonus space with twin bed off downstairs bedroom makes it easy to spread out. 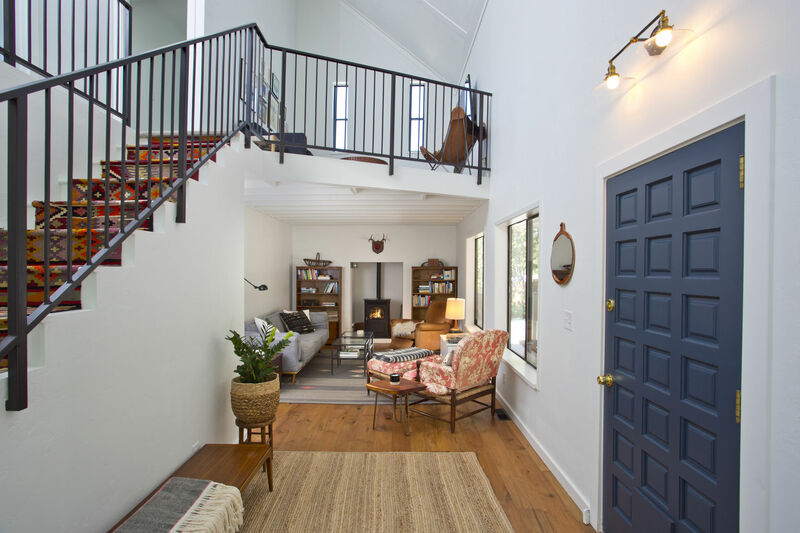 High ceilings, natural light, and an open floor plan create a comfortable, at-home ambience. 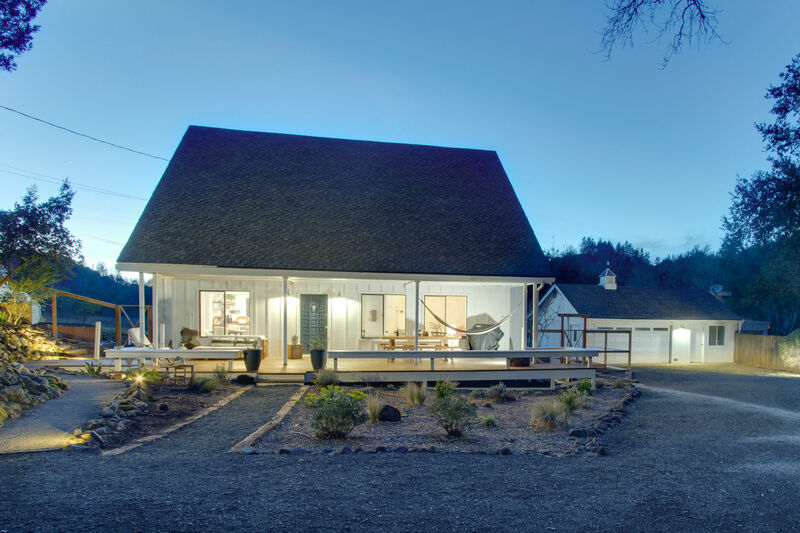 A modern farmhouse — the best of two worlds! Time to chill? 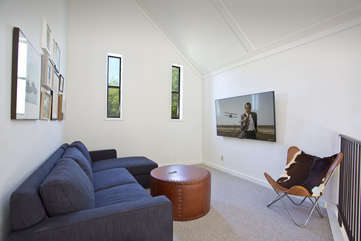 Make yourself comfortable in the mezzanine TV lounge with 50" HD flat screen TV. 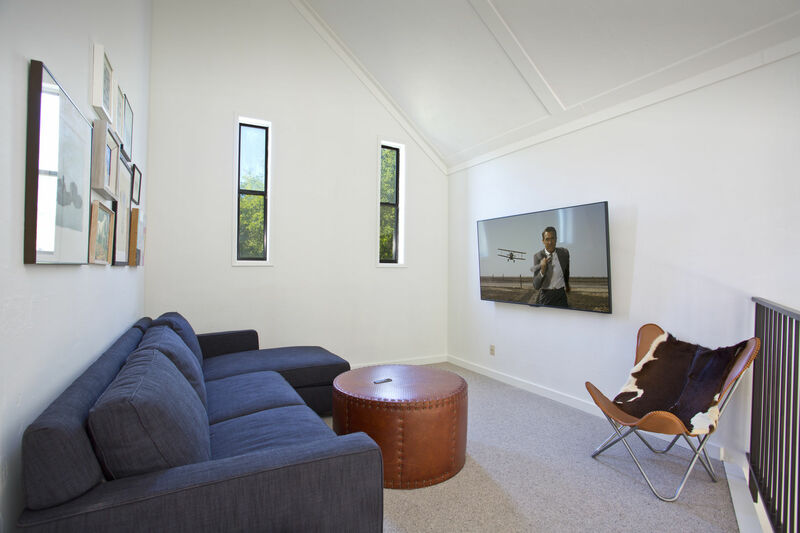 Pull out the sofa bed and binge on your faves. 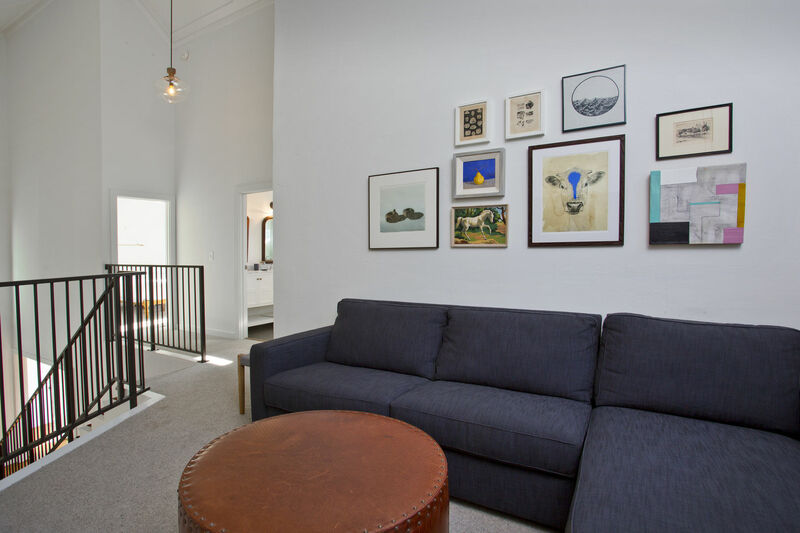 Check out original artwork in the TV lounge at the top of the stairs. Guest suite open onto a balcony overlooking the landscaped garden and open countryside. 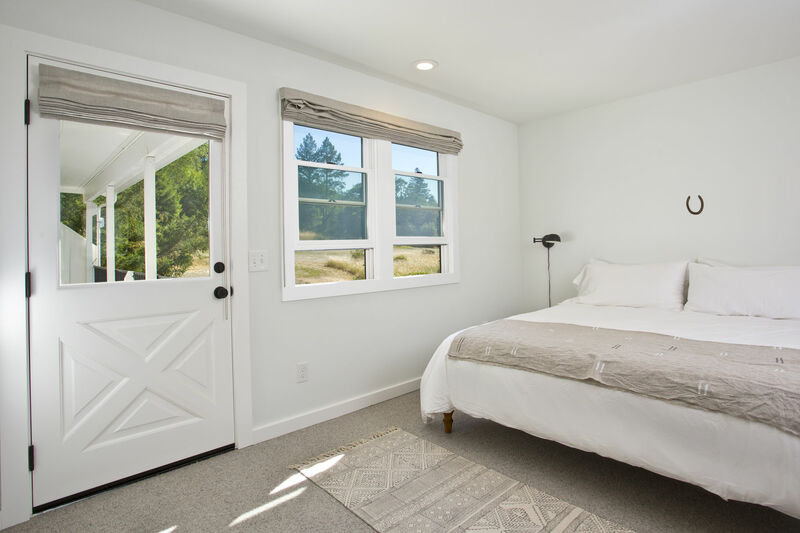 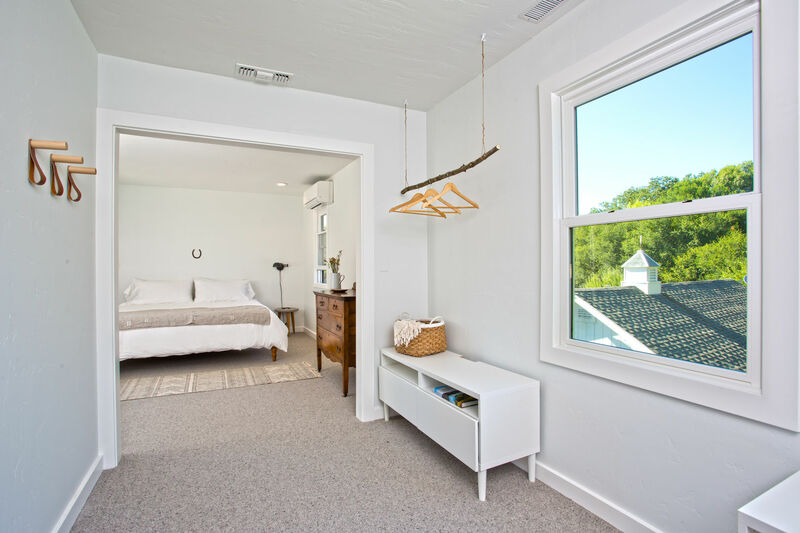 Soothing, restful, quiet guest suite — look at those views from the windows! 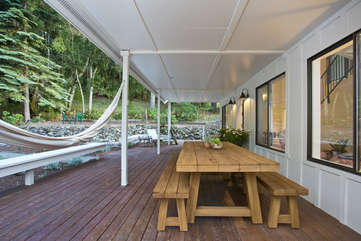 Gently sway in the hammock and listen to soothing sounds of summer. 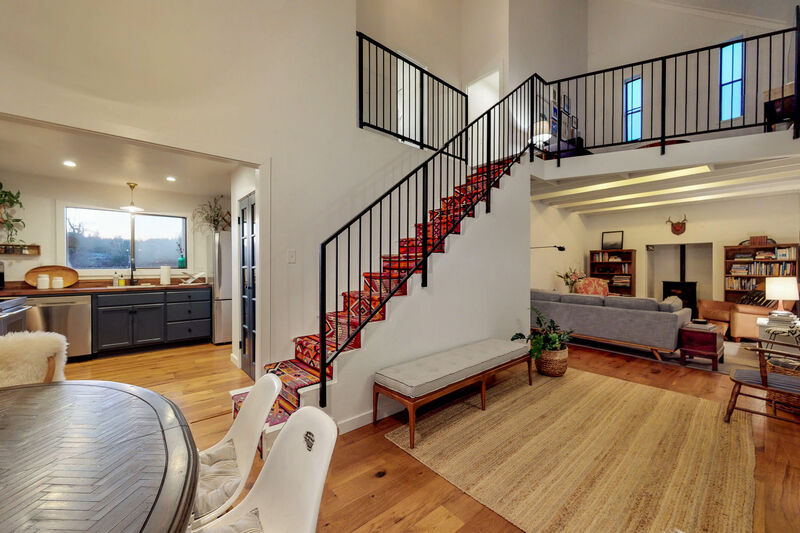 Entry opens to downstairs living areas and mezzanine TV lounge. Snuggle up in the homey living space — warm and cozy pellet stove at night and open views to outdoors during the day. 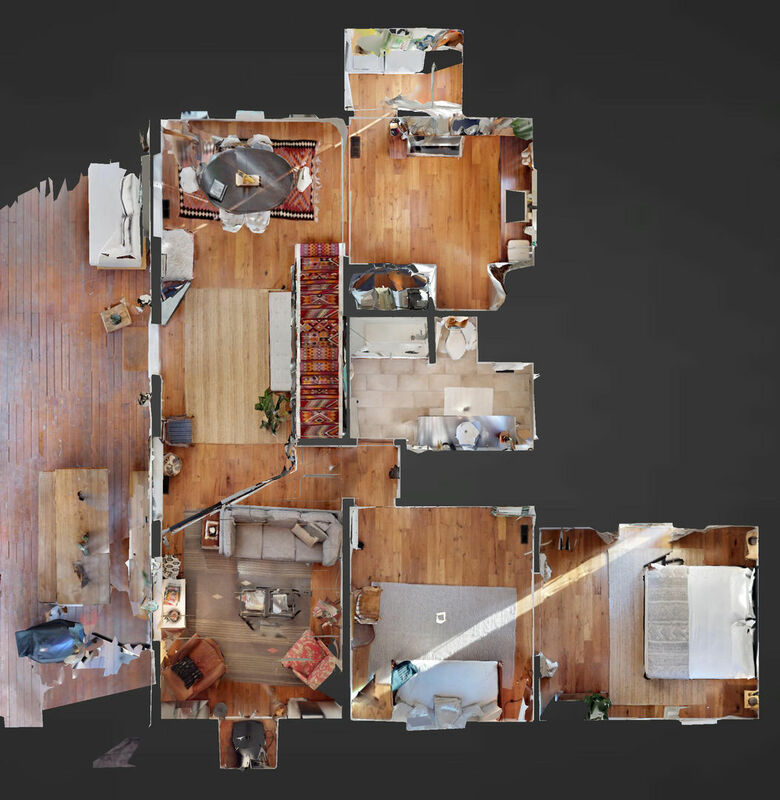 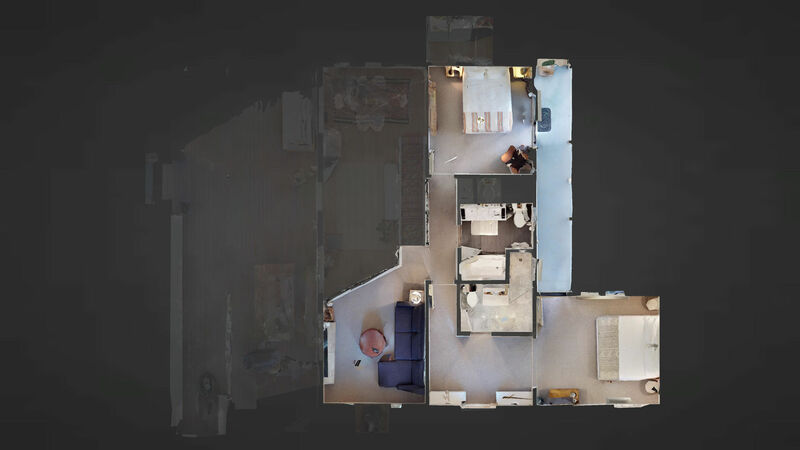 3-D virtual reality image of downstairs. Check out the open floor plan. 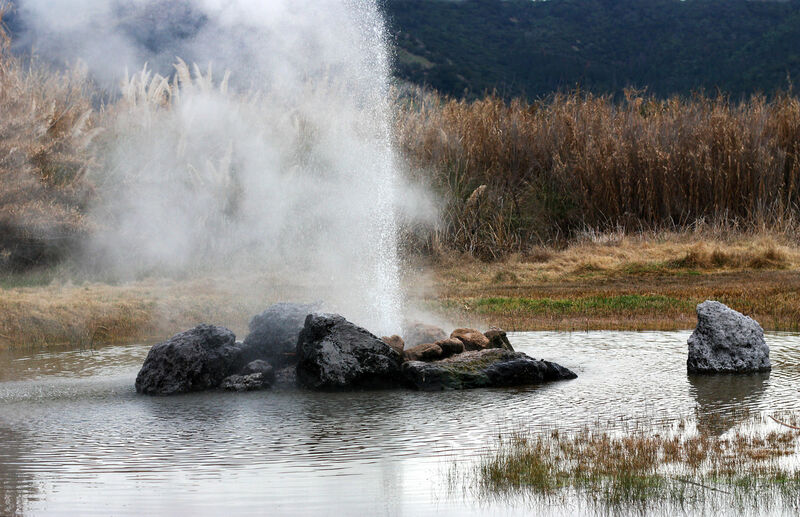 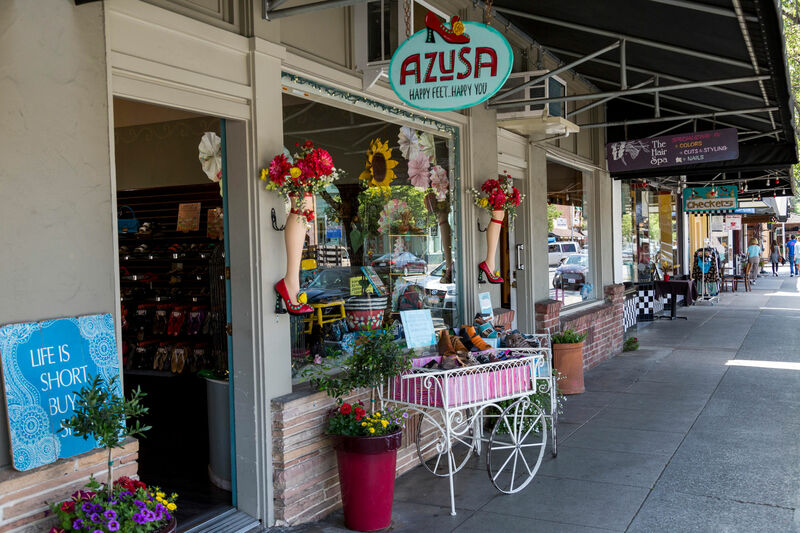 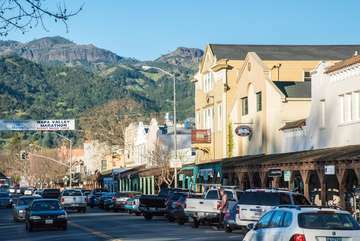 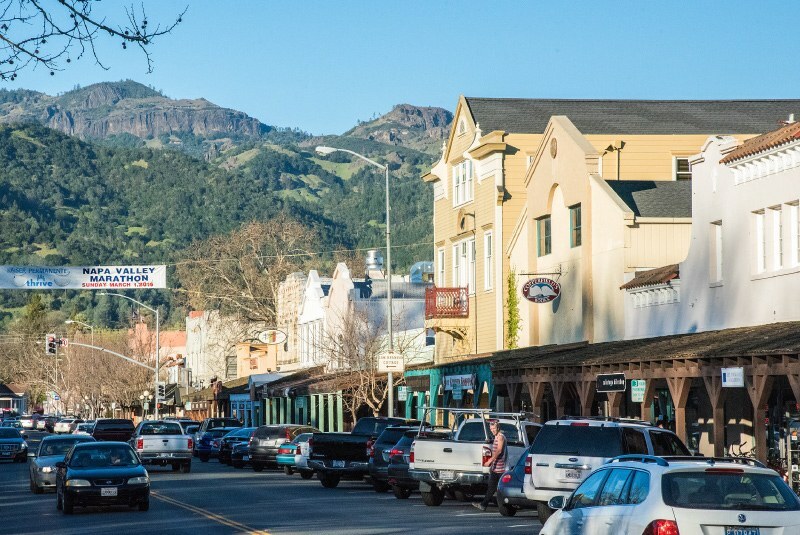 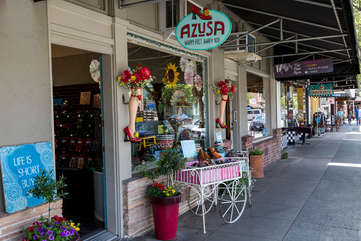 Cute shops, great restaurants, interesting museum — historic Calistoga offers plenty to entertain you! 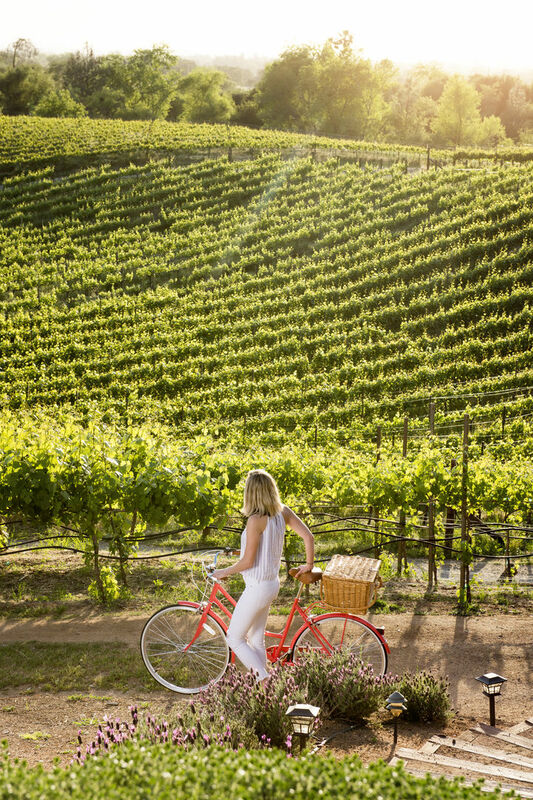 Back from the road, down a quiet country lane, you’ll find a little bit of heaven. 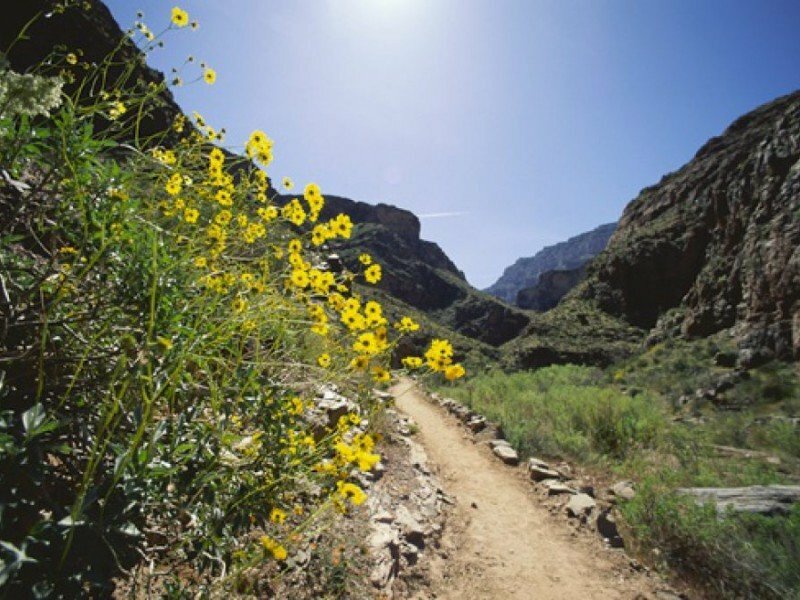 Sense the expansiveness and surrender to the tranquility. 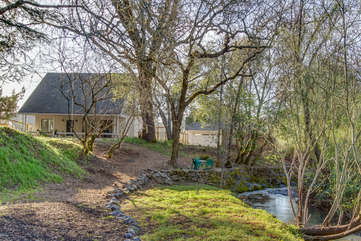 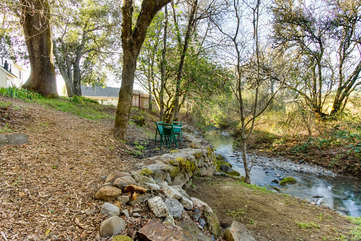 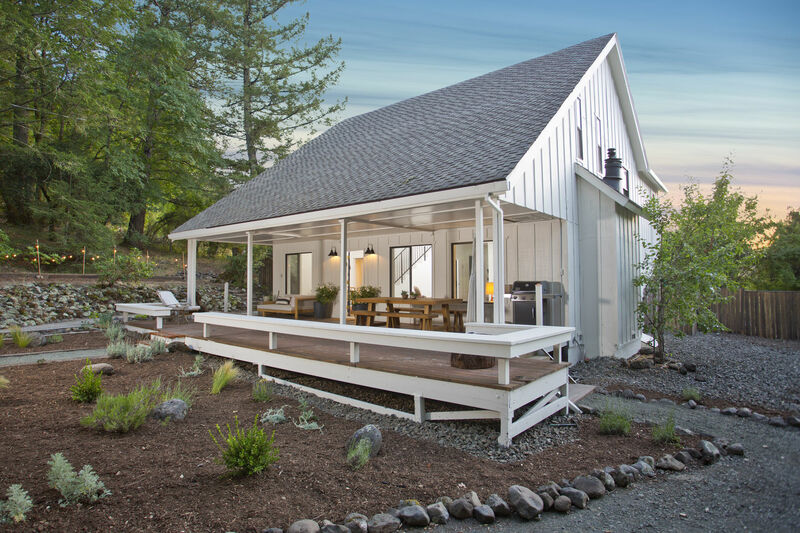 This comfortable retreat encompasses almost 2 acres, with a seasonal creek and pastoral vistas. 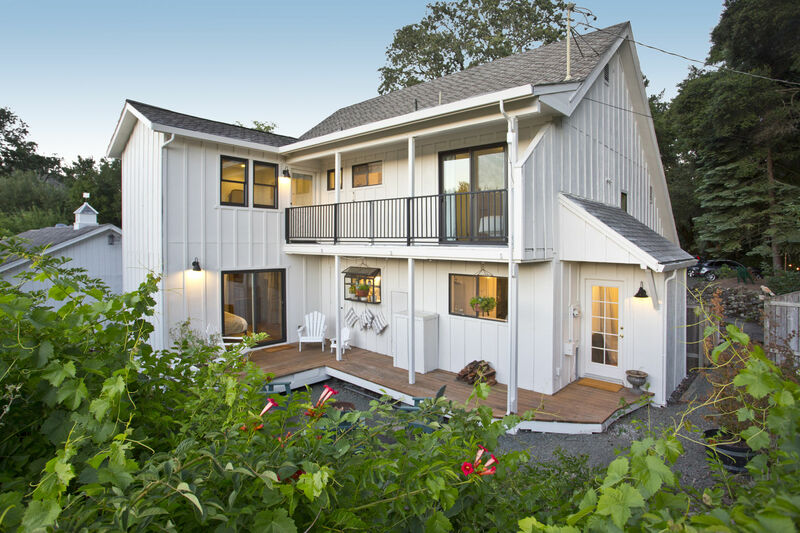 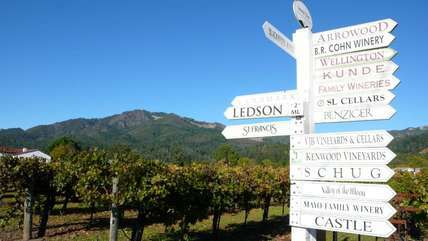 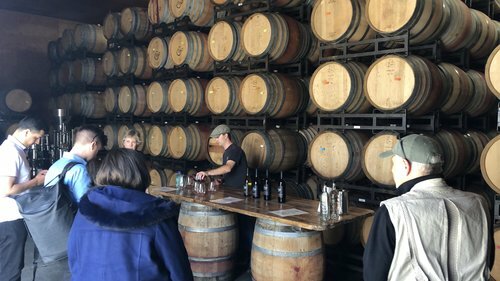 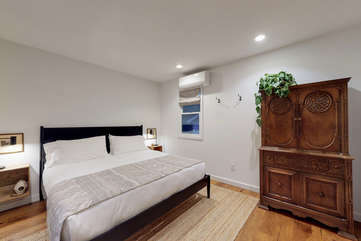 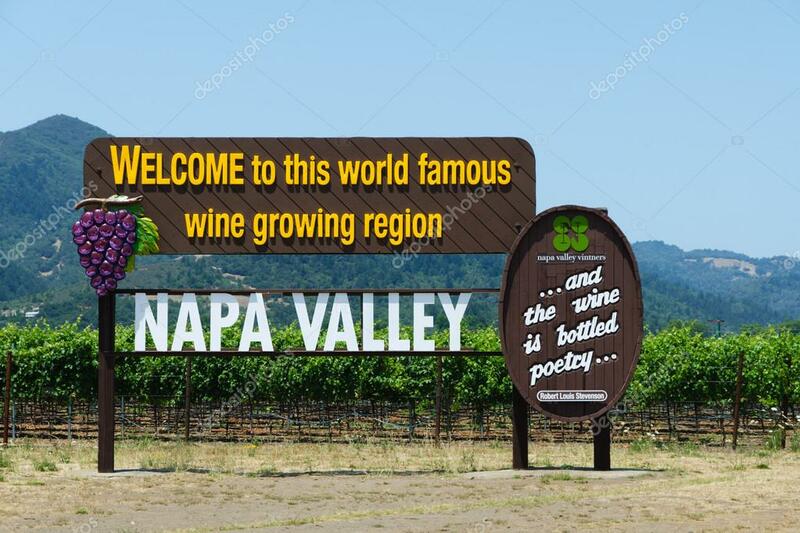 And it’s located just 5 minutes from downtown Calistoga on the Sonoma-Napa border, making it the perfect starting point for exploring Wine Country. 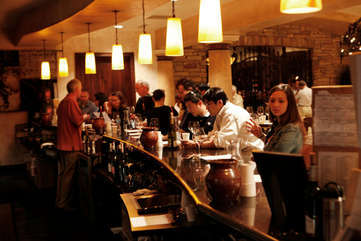 Savor award-winning wines, discover fabulous restaurants, unwind at nearby spas — or just hang out at home! 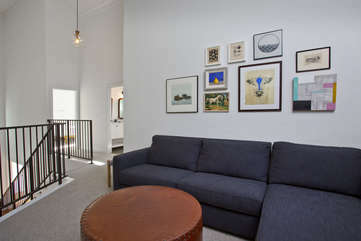 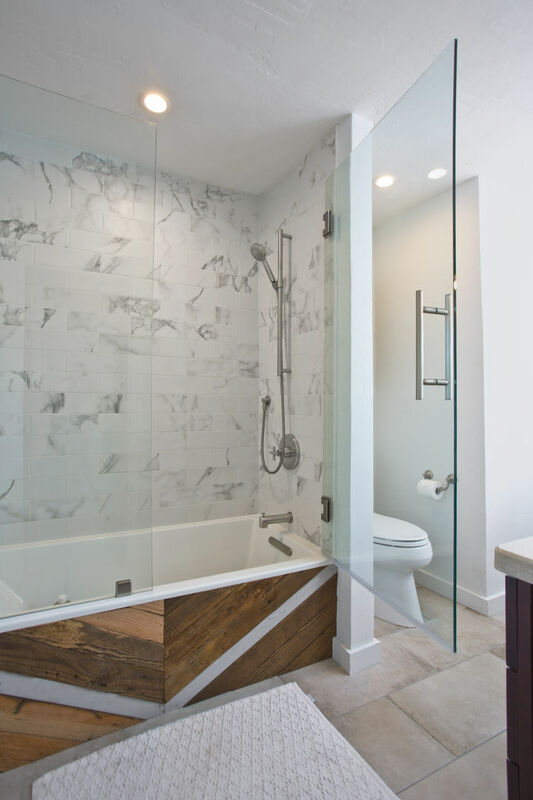 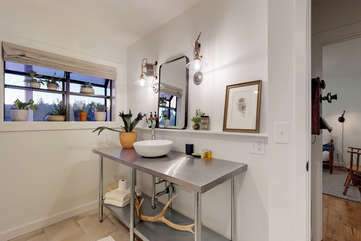 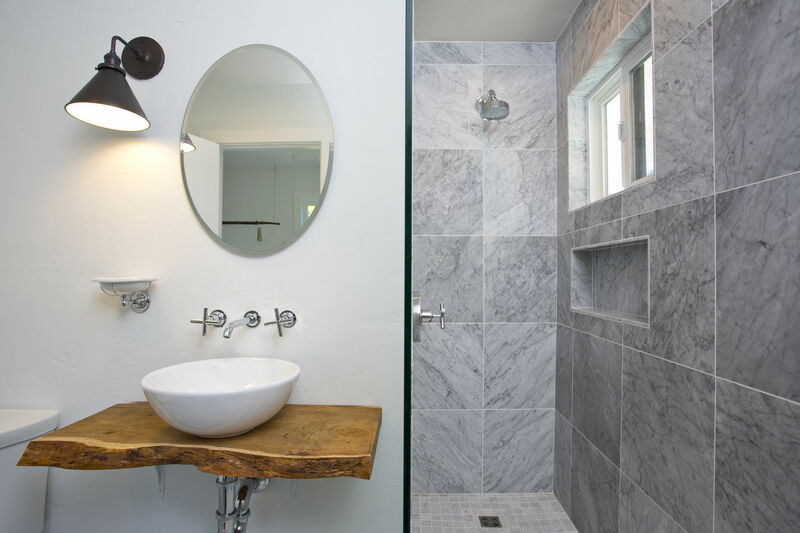 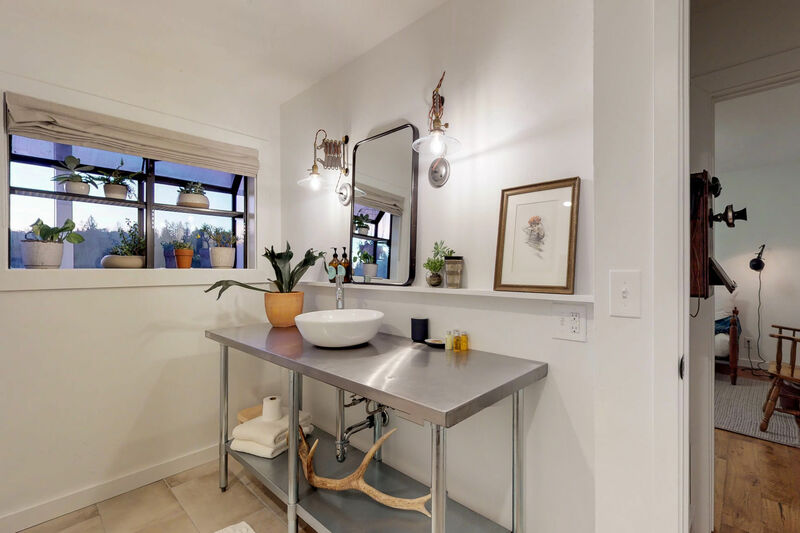 Recently renovated by the owner/interior designer, the home welcomes you with a casual style made for real living. 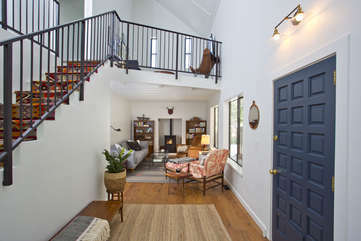 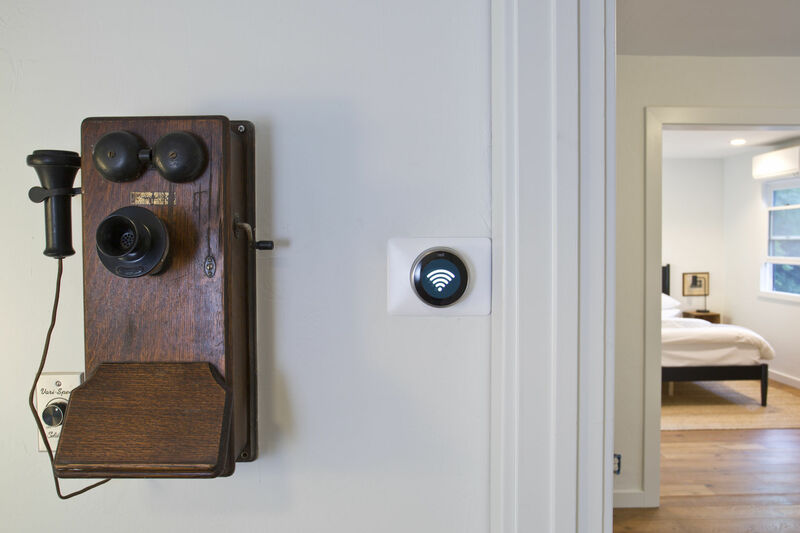 Enter the house, and you’ll feel like you’ve finally come home. 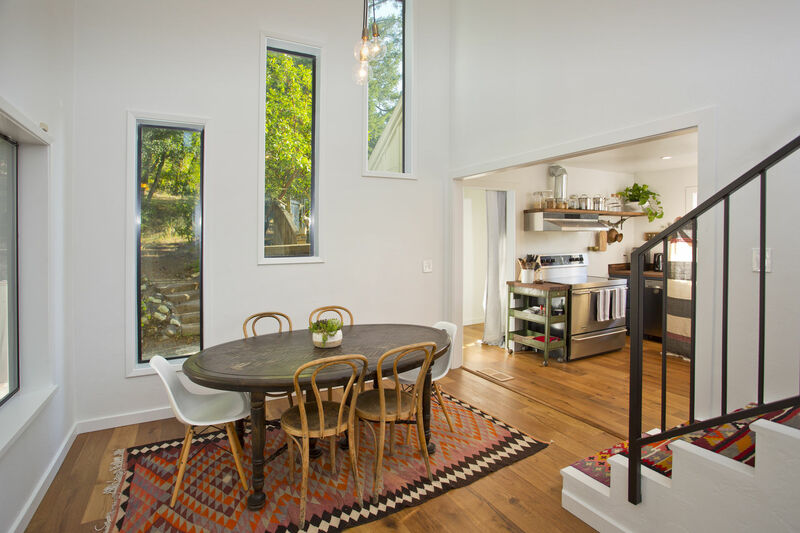 Plenty of natural light, an open floor plan, and expansive windows connect you with the natural environment outside. 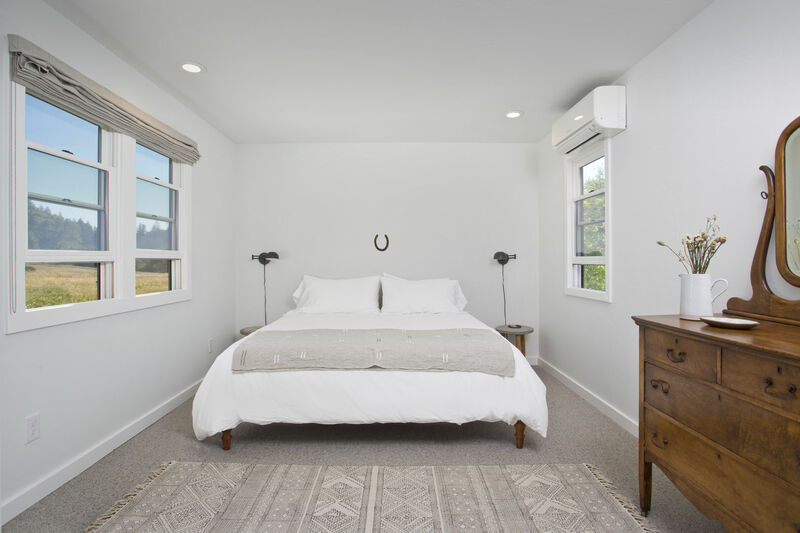 Feel yourself exhale as you watch horses and cows grazing in the nearby field. Take time to hear the stillness. 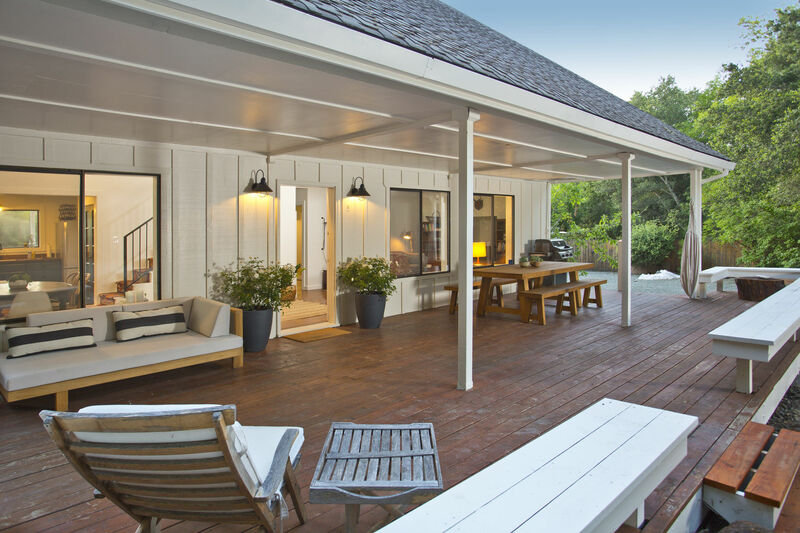 Step outside onto the deck where the outdoors melds with indoors for seamless plein-air living. Try your skill in the bocce ball court. Harvest seasonal herbs from the garden. Watch for falling stars. 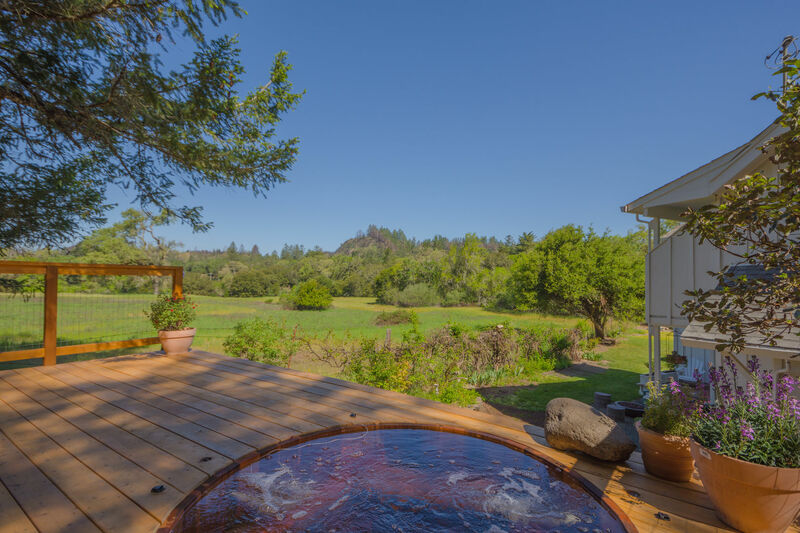 With lots of shady trees, a vast lawn, jacuzzi, fire pit, and deck areas — you’ll want to rest here awhile with family and friends. Take the chance to experience an inner calm that will stay with you long after you leave.